More Videos to Come. Please Keep Checking Back. A Convenience Fee of 5% will be assessed for all Credit Card / Debit Card payments. 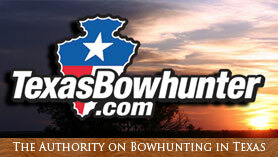 Hunting Packages, Fees, and Rules are subject to change. Please check back often for modifications. Thank you! * Gratuities Are Not Included. We recommend 10% to 15% of your hunt fee. Our guides are here to assist you in your hunt,recovery and overall experience at Timberlake ranch. Please remember them upon your departure.